Chiara Fumai lives and ‘unworks’ in Milan. 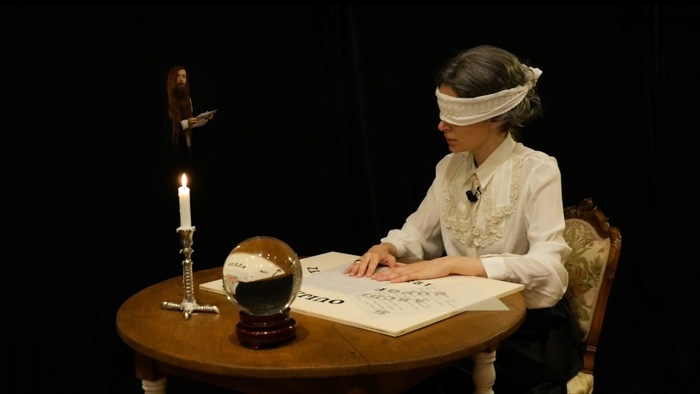 Her performative practice belongs to the tradition of female psychics, who are 'spoken by' different controversial entities, which the artist freely (mis)interprets and combines into new stories, while questioning their symbolic meaning and representation.. 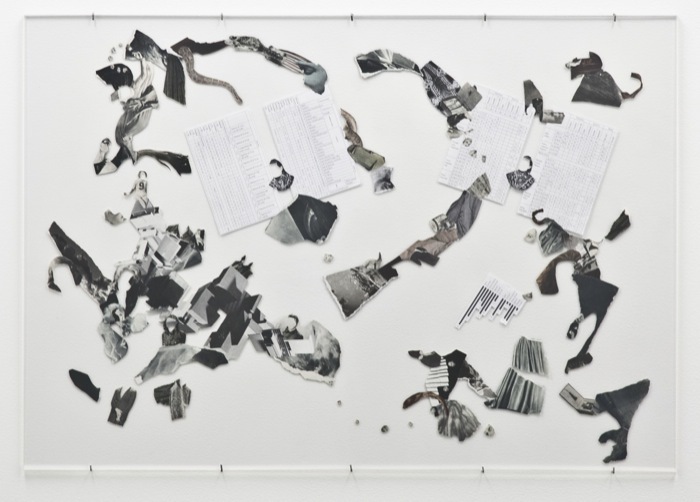 Dealing with radical feminism, media culture, language and repression, Fumai's starting point is lecture-performance, later transformed into installations, videos, collages, sound, embroidery and fictional documentation. Recent one-woman-shows include Der Hexenhammer, Museion, Bolzano, 2015; With Love from $inister at A Palazzo Gallery, Brescia, 2013; I Did Not Say or Mean 'Warning', Fondazione Querini Stampalia, 2013. 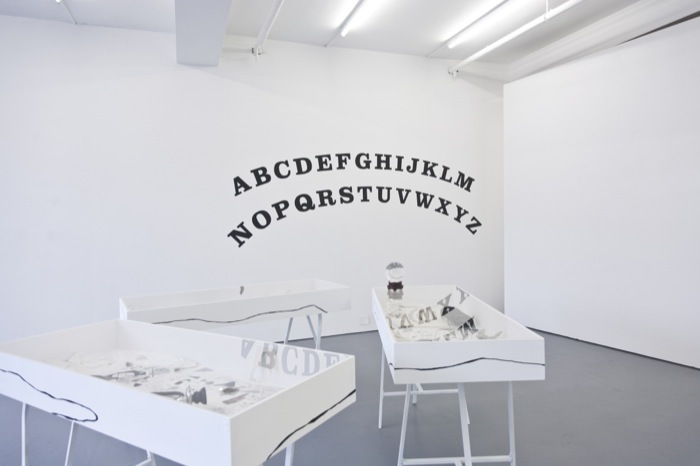 Recent group exhibitions and performances have been presented at David Roberts Art Foundation, London, 2015; CA2M Centro de Arte Dos de Mayo, Madrid, 2015; Whitechapel Gallery, London, 2014; De Appel Arts Center, Amsterdam, 2014; Nottingham Contemporary, 2014; Fiorucci Art Trust, London, 2014; MUSAC Museo de Arte Contemporáneo de Castilla y León, 2013; dOCUMENTA (13), Kassel, 2012; Studio Voltaire, London, 2014; Nomas Foundation MACRO Testaccio, Rome, 2011. 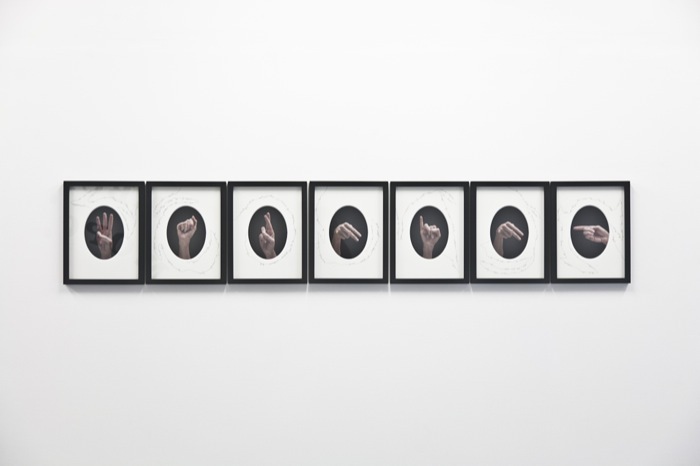 Fumai was the winner of the ninth edition of the Furla Art Award, 2013. ‘The Book of Evil Spirits’ brings together a number of characters whose narratives Fumai has embodied in her performative practice to date. In creating this catalogue, Fumai enlisted the help of Eusapia Palladino, a 19th century psychic and medium. Fumai has borrowed from an array of historical characters, often women in history who from marginal positions gained recognition for voicing their dissent, amongst them Ulrike Meinhof, Annie Jones, Carla Lonzi. Fumai allows herself to become ‘possessed’ by them, and under the guise of re-enactment, hijacks their narratives for her own purpose. In The Book, Palladino convenes the spirits of Fumai’s motley crew of evil spirits – activists, terrorists, freak-show performers, philosophers, all at one point alter-egos of Fumai herself – who collectively represent the fears of a bourgeois society. The artist’s camp parody is itself obscured by knowing anachronism and occasional bursts of uncontrollable stage violence.